Sometimes I find myself doing several things at the same time. 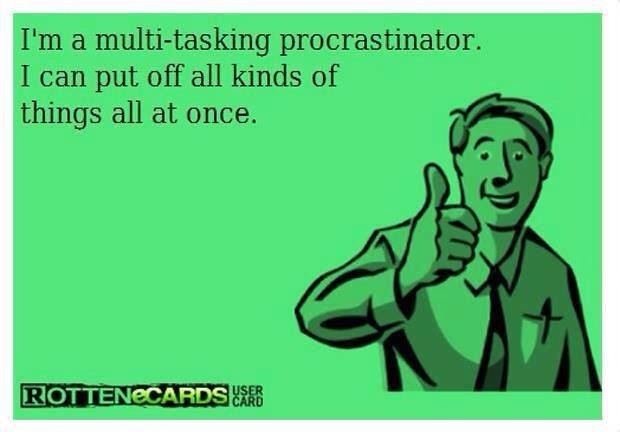 You might call it multitasking, but I call it multi procrastinating. I really don’t get a lot done, but I seriously avoid doing a lot of important tasks, looking very busy while I’m doing it. 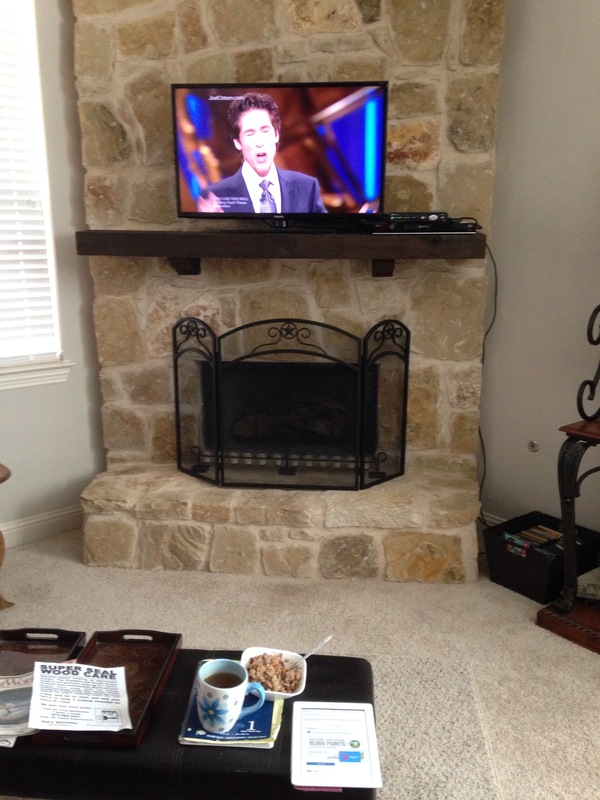 I started laughing to myself the other day when I had the TV on, watching a recorded Joel Osteen. He had a very profound message. I just don’t remember what it was. I was eating my oatmeal, sipping my tea, checking my email on my ipad, and talking to my mom on my cell phone. That’s not multitasking. That’s just crazy…and avoiding going upstairs to work on painting my ornaments. So, here’s the tip. Do not multitask. Just do one thing at a time, giving it all your attention. Do as I say, not as I do. I’m watching NCIS, writing my blog, eating dinner and washing dishes during commercials. Old dogs…….. We don’t learn new tricks, but we can perform several old ones at the same time. ← Montage Monday: It’s Cold!!! I have resorted to a schedule on days with wide open spaces. Ex. 8:00 Read/Meditate, 9:00 Laundry, 9:30 Call Cable Company. Otherwise, I multitask my day away and don’t do what really matters. 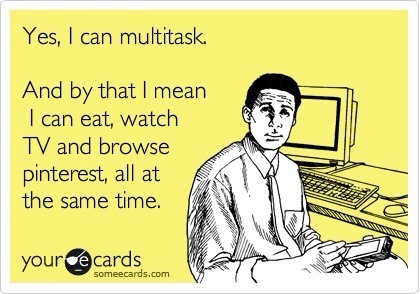 Ha ha ha 😀 that is me who Multi-task too. No wonder things are always messed up. You’ve been watching me work – haven’t you!? !